This post was originally meant to go up on Monday. But I'd spent the weekend (and the days since) recuperating from post-campaign burnout (amongst other things). It was a much needed break, and I indeed feel better for it. Now. 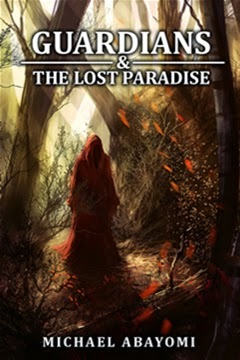 If you'd visited this blog anytime within the last month or so, then you must have surely heard about my crowdfunding campaign for my 6-part epic fantasy series, Guardians & The Lost Paradise. The goal was to raise $3,000 in 30 days. The money was to be used to pay for the services of a professional artist and editor. The plan was to self-publish all 6 books in 6 months. Well. After 30 days of non-stop telling, asking and the occasional begging, the campaign received 142 visitors, 200 views and 234 referrals. And in the end, we managed to raise $400, spread out between 8 contributors. What does it all mean? Well, for starters, that I'm very much grateful for those that did contribute, and all those that helped spread the word. I know I must have said this about a half dozen times by now, but it bears repeating. Thanks guys, for believing in my project enough to show some support. That said, I believe I did everything that was within my means to give my project a fighting chance. I took the time to craft my pitch and really worked on the presentation of the campaign. Then I told my friends, family (big waste of time) and basically everyone I know. I even wrote a press release, even though this was done a mere two weeks before the deadline. In retrospect, the press release should've gone out at least two weeks before the start of the campaign. Also, I should've ensured I had built a mailing list of people more inclined to be interested in my project, rather than relying on fairly random people I'd had prior email conversations with. Finally, I shouldn't have spent as much time and effort on Twitter. The fact that I had a big name author (with 10,000+ followers) tweet a link to my campaign with zero results more than proves why. I did get to meet a lot of cool new people though, including the big name author in question, which I guess made it worthwhile. All in all, I consider the campaign a success. $400 is a far better amount to work with than $0. What this simply means is that I'd have to find other ways to get to where I am going. I've since adapted my original plan to make room for a Plan B and C. Plan B involves using a second artist. Plan C involves using stock photographs and photo manipulation software. Any recommendations?. And if my calculations are correct, then it means the first book is due out next Tuesday. That's less than 6 days from now. Yikes. I'd better get back to work. Today is the second part of the Hookers & Hangers blogfest, hosted by the writers over at Falling for Fiction. On Monday, participants posted first sentences from the chapters of their books and WIPs i.e. hookers. Today, we are to post last sentences, or hangers. In fact, the only sound he could still hear was that of his beating heart; and it was slowly fading away. And together, the two brothers disappeared into the ghostly-white mist. Clarissa put an arm around Danny's shoulders. "Well, I guess there is a first time for everything." Thanks to everyone that dropped a comment on Monday. And to the new followers too. I'll try my best to pay you back in kind the moment things become less hectic. This post is part of the two-part Hookers & Hangers blogfest, hosted by the writers over at Falling for Fiction. Participants are required to share any number of first (hookers) and last (hangers) sentences from the chapters in their books. The first sensation that struck Danny after regaining consciousness was the marked absence of cold. Danny held on to Kevin for dear life, his eyes equally held shut. Danny watched with horror as the wilderbeasts charged towards them from all sides. "We're almost there." Damian had to shout the words over his shoulder. "Just a little distance more and we'll have these fiends lagging behind us where they belong." And there you go. 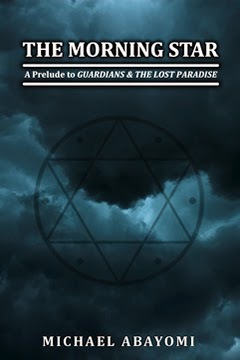 I'll be posting my hangers (also from Guardians & The Lost Paradise) on Wednesday, so be sure to come back and check those out as well. I can't believe it's that time already. Where did the last 30 days go? It almost feels like I walked through some kind of timeslip, and came out a full month in the future. I guess time DOES fly when you're... what was I doing again? In case you don't know what I am going on about here, I am of course referring to the Insecure Writer's Support Group, or IWSG as some like to call it. It is a group started by Alex J. Cavanaugh, where members can share their worries and whatnot. Last month was my first ever IWSG post, and I was indeed overwhelmed by the level of support I received from members of the group. So I'd like to say a quick thank you to all those that popped in and left a comment (or two). Now, there's a lot currently going on with me, as a writer, and so many reasons to feel insecure. But I'll still like to keep today's post short (and hopefully sweet). As you may or may not know, I decided to launch that crowdfunding campaign I spoke about in last month's post. This was after much consideration of course, but with very little planning beyond telling everyone I knew. I figured if I could tell enough friends, family, and the occasional complete stranger, my campaign would be able to receive at least enough contributions to get placement in the Indiegogo directory. Boy was I wrong. After nearly two weeks of badgering said friends and family, I had received enough empty promises to power a nuclear submarine. It got to a point that I started to feel like I was the only one who was ever going to care about my project. But then I saw this post by one of my blogging buddies, and I realized I was not as alone as I originally thought. I would like to use this opportunity to thank everyone who has so far contributed, tweeted, emailed, or done what little they could to help me spread the word about my campaign. And for those of you who haven't, what are you waiting for? 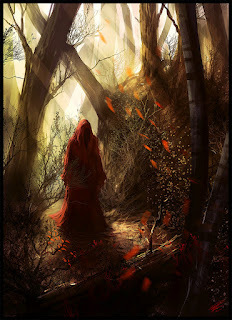 Over the weekend, I was lucky enough to score a guest post at Musings of a Procrastinating Author. I decided to do a piece for independent writers, so you should totally check it out if you happen to be one. 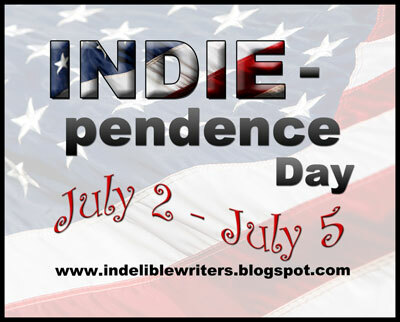 Coincidentally, today marks the beginning of the INDIEpendence Day blogfest over at The Indelibles. And as part of the celebration, we've been asked to highlight an outstanding indie book. 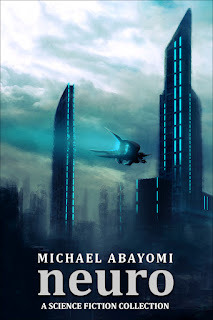 I've been reading indie books for several months now (ever since becoming an indie author myself), and in so doing I've come across the good, the bad, and the not particularly beautiful. But of all the indie books out there today, one of the most outstanding is Hugh Howey's science-fiction novella, Wool. I discovered Wool around the same time Mr. Howey became a regular at the Kindleboards Writers' Cafe. At the time, the series was already starting to make waves. And being the science fiction buff that I am, I was more than happy to dive into the book. Admittedly, the story started a bit slow for me, and I was indeed wondering what all the noise was about. But as the story progressed, I started to feel a real connection with the main character, Holston. By the end of this bittersweet adventure, I was not only blown away, but eager to start the next book in the series. Put simply, Wool has one of the best endings I have seen in years. It is a book that shares story elements with recent games like Rage and Fallout 3, and movies like Inception and Solaris. But it still manages to feel fresh and ground-breaking at the same time. I am currently reading the next book in the series, so the verdict is not yet out on that one. But from what I've been reading so far, it is already shaping up to be even better.